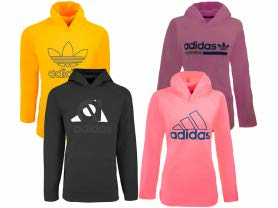 Today ONLY - these adidas Men's and Women's Hoodies $22.99 (Retail $60). Shipping is FREE for Amazon Prime Members. Otherwise, $5 Flat Rate Shipping.